life is a special occasion, dress for it! Jewelry is one of the most fun accessories to play with when coordinating your outfits. Whether it’s a necklace, ring, or bracelet, you can do one or all three, depening on the occasion. If you chose to have a winter wedding, Flair Fashions has some of the most beautiful bridal dresses to make sure you look like the beautiful bride you have always dreamed of being. Weddings are always fun, but having a winter wedding is a unique and fun idea for those who love the winter season. Check out FlairFashions.com for more bridal options, we have so many to choose from you might have trouble deciding which one is best. Find your perfect wedding dress at Flair Fashions Boutique. One of the best things about Winter time is definitely the fun holiday parties we get to go to. If you want to stand out this winter, look no farther because Flair Fashions has your back! We have many options to choose from. Shine bright this winter and find the perfect cocktail dress to show off at your next holiday party. Accessorizing is always necessary no matter what season, but the holidays are coming up fast and we might need to make sure we are looking fabulous all winter long. Rings are the best accessory because they are always easy to pair with whatever other jewelry you might be wearing. A large ring will always complement your outfit well, whether it’s a casual Friday or a holiday party, you’ll be sure to look fabulous! A 50th wedding anniversary is a very special moment in the couples life. It is important to make this day as cherished as possible by coming up with 50th wedding anniversary party ideas such as a surprise dinner! Other 50th wedding anniversary ideas include a themed party or sending the couple off on a special date night. 50th wedding anniversary gift ideas can be things such a personalized photo album or a weekend getaway where they can recreate their wedding proposal ideas for a night of reminiscing and romance. Beach weddings are the perfect option for marrying couples who desire to tie the knot with their feet in the sand and the sun kissing their skin. If you are searching for beach wedding ideas, the answers await you along the coast. The most picturesque beach weddings take inspiration from things that can be found right along the beach such as seashells, palm trees, sand and of course the breathtaking sunset. Decorating your beach wedding is as simple as using what Mother Nature already provides to you. Have fun with it! Rustic wedding ideas provide the marrying couple with a earthy, warm and welcoming atmosphere that is perfect for any special day. Some cheap wedding ideas for a rustic themed wedding include using various fruits and vegetable as the main focal point for centerpieces. To decorate your rustic wedding, you can use things such as flower pots or metal candles with mini tea-lights placed in the center. 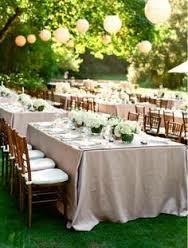 As for the venue, rustic weddings look fantastic in farm and backyard settings. The ultimate finishing touch to any rustic wedding is surely the flowers. Sunflowers and roses are the best choice for a rustic bride. Renaissances Flowers can provide you with chic and beautiful flowers to make stunning arrangements for your rustic wedding.